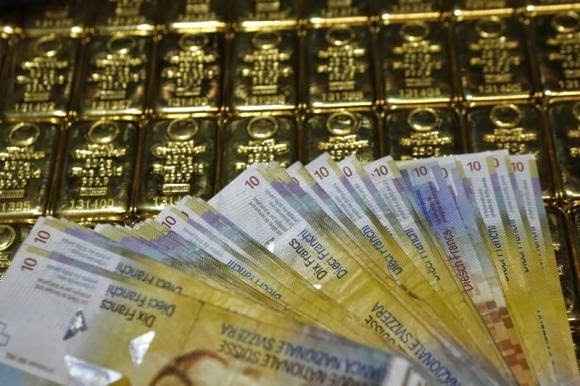 Gold Will Appreciate 30% in Line with Swiss Franc, As Inflation Plays out in Fiat currencies - the Swiss Franc represents gold and a monetary standard that is more prudent than the rest of the western central banks which have been engaging in quantitative easing incrementally in an increasing fashion. We will see the result of easy money, which has recently been bought to light by the Swiss (who quit the game mid hand exposing the rest of the players playing with extra cards in the deck!) flow into gold as more easy money chases finite money like gold and silver, the price will rise accordingly. The Swiss Franc is 30% more scarce than the euro (Symbolically - or as interpreted by the free market), so in turn will gold be - albeit in a delayed fashion.